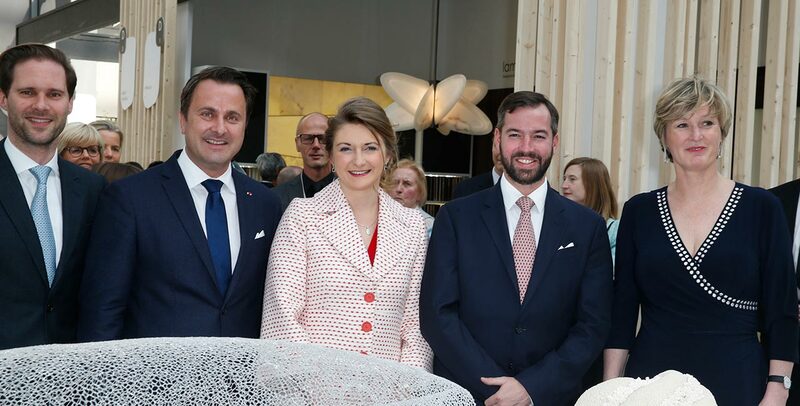 In the spirit of "De Mains de Maîtres", the know-how and the luxembourgish craftsmanship exhibited in May 2017 at the Grand Palais in Paris. For the first time, Luxembourg was among the eleven countries invited by the Salon RÉVÉLATIONS, the international fine crafts and creation biennial. This biennial is a platform for exchanges and meetings between crafts creators, professional visitors and art enthusiasts. The international exhibition highlights the most spectacular works of crafts from around the world. The Grand Duchy was at the heart of the biennial, amongst The Banquet, a reflection of the emancipation and diversity that characterize today's crafts. Luxembourg and its creators were represented by the Chamber of Trades. The public was able to admire the work of eight craftspeople selected by curator Jean-Marc Dimanche amongst the artists who exhibited at "De Mains De Maîtres" in December 2016 in Luxembourg. The magnificent setting of the Grand Palais is a wonderful venue for showcasing their works and Luxembourg's savoir-faire. All the information on this 3rd edition of Revelations and on the exhibition Le Banquet can be found on the website of the biennale (www.revelations-grandpalais.com).